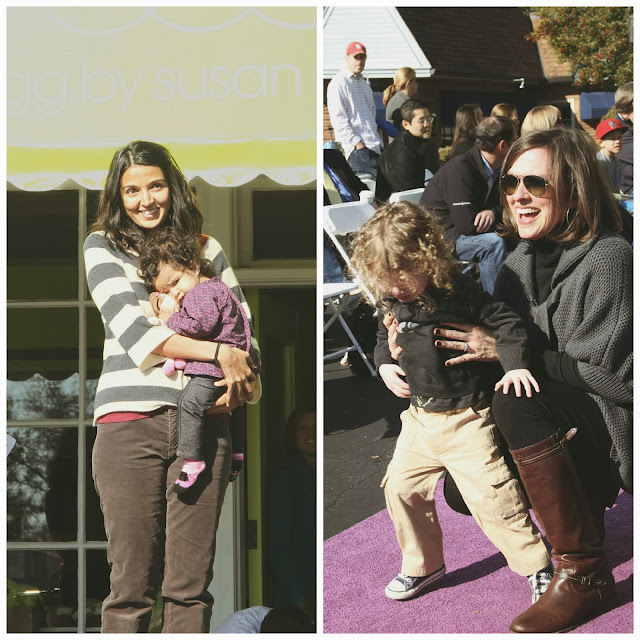 I was looking through some photos this weekend and came across a slew of pictures that I took at a fashion show for the grand opening of Egg by Susan Lazar boutique in Ladue last September. (A WHOLE YEAR AGO. That's how behind I am at blogging.) 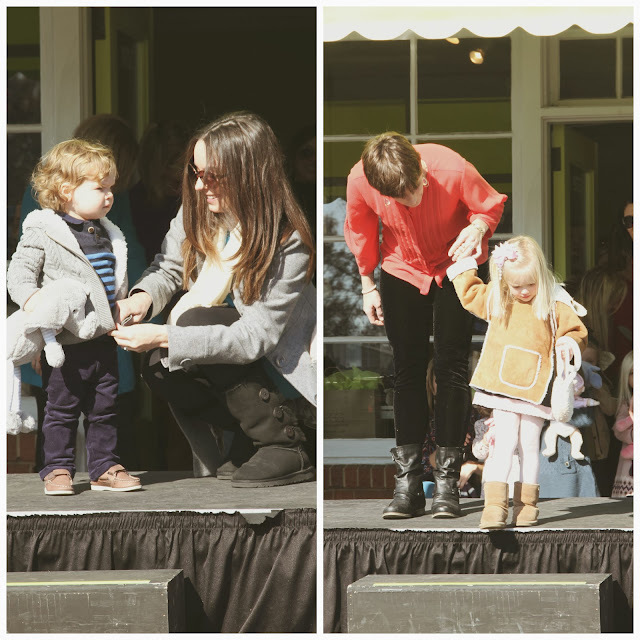 Anyway, I was there because one of my very favorite kids, Miss CeCe was in the fashion show as a mini model, so of course Mac and I had to go watch that spectacularness. 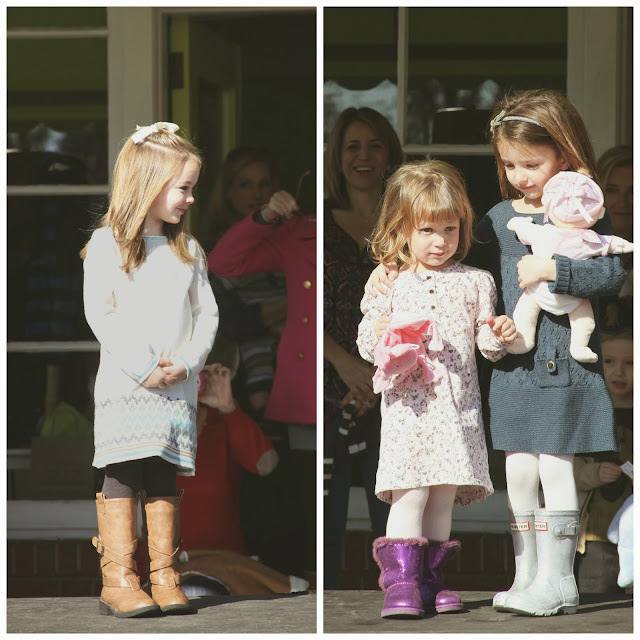 The fashion show itself was downright adorable. 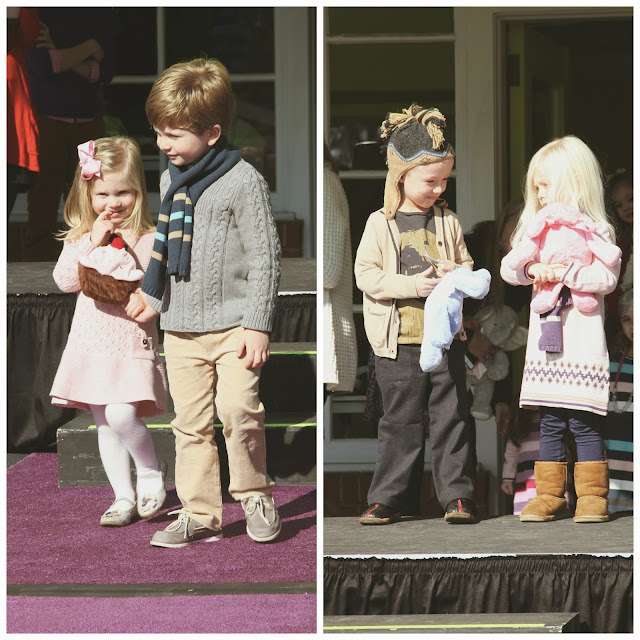 From the purple runway to the charismatic kid emcee to the cutest little kid models you've ever seen. It was stinking sweet. All the kids (and some of the parents) were decked out in clothing from the store, that they got to pick out themselves. 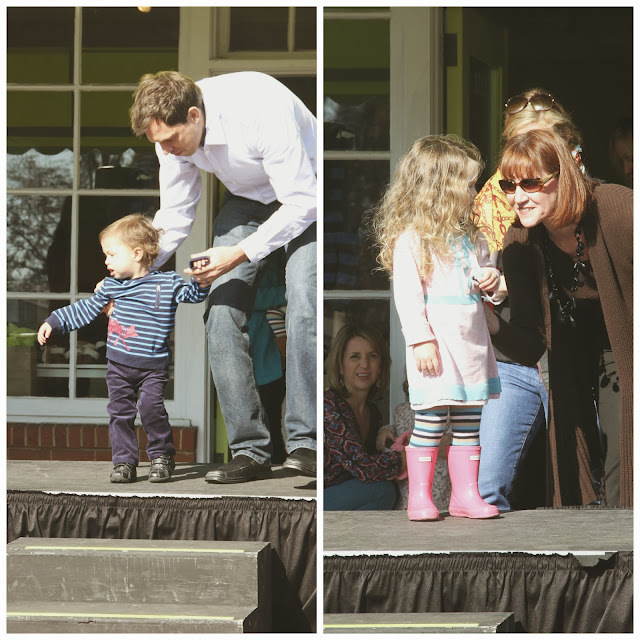 Some of the kids were a little reluctant to go down the runway on their own and needed a little help from mom or dad. 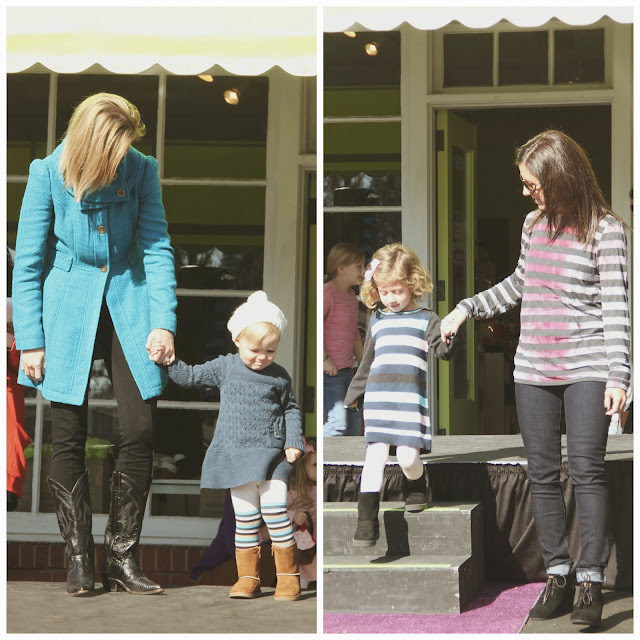 I mean, those mother/daughter duos make me want a little girl SO BADLY so we can dress alike and enter fashion shows and do each other's makeup and share clothes and go out to fancy lunches and... Ok, I'm getting ahead of myself here. Anyhoo. Some of the kiddos had encouragement from a sibling. I mean, these sisters just made my ovaries explode. 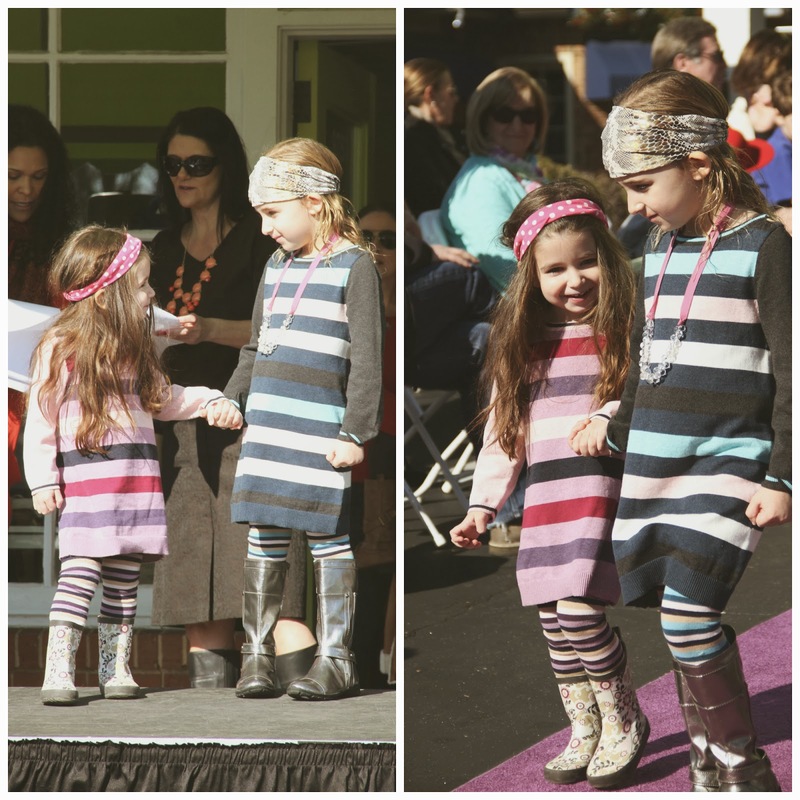 And is there anything cuter than these little brothers and sisters walking down the runway together? Kill me now. Of course there were a couple kids that didn't want to cooperate, but were good sports nonetheless. And then there was Miss CeCe. She needed no help or coaxing. Just being the center of attention was enough for her. 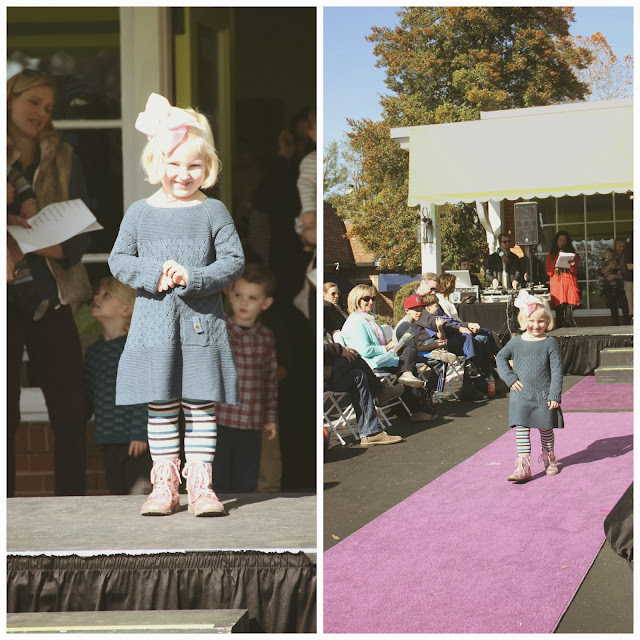 She rocked the runway, of course, with her signature high bow. America's Next Top Model? There were also a couple standout models. This little girl has that model unimpressed face down to an art and is rocking an awesome spiky side pony. Nailed it. And this is my friend Brooke's cousin's son, Neddy. 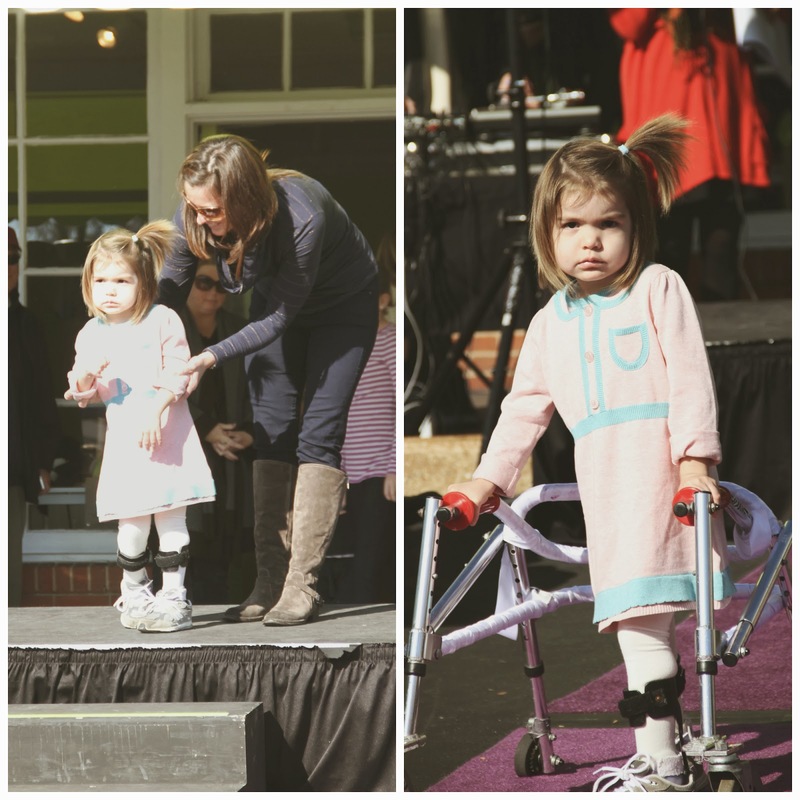 He didn't want to walk down the runway by himself, but once his mom was carrying him, he loved being the center of attention and waved to everyone. Is he not the cutest thing you've ever seen? All the kids had a great time and it was fun watching all the parents and grandparents play paparazzi and bring the little ones flowers and gifts, like it was a real theatric performance. Of course we were no better and bribed CeCe with a toy and a giant rice krispie treat at lunch. We know what we're up against. Win win. OMG so cute! 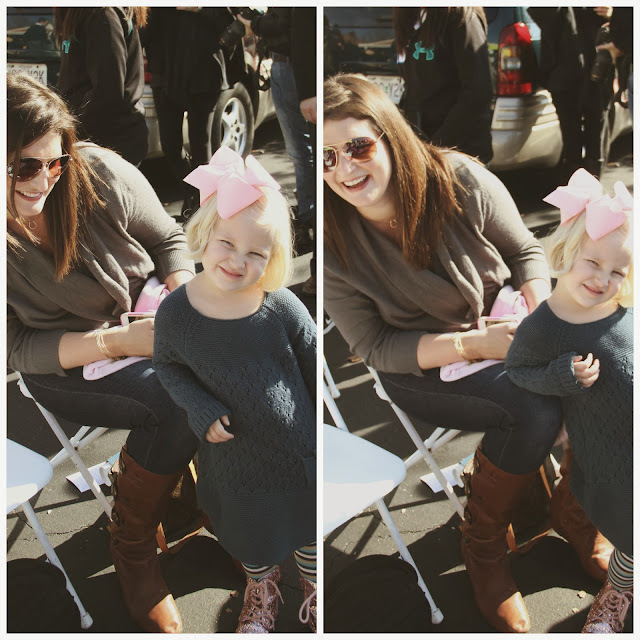 Adorable fall outfits! This just reaffirmed that I need to get miss Callie some fall boots stat! oh my goodness. this is full of so much sweetness, i don't even know what to do! !